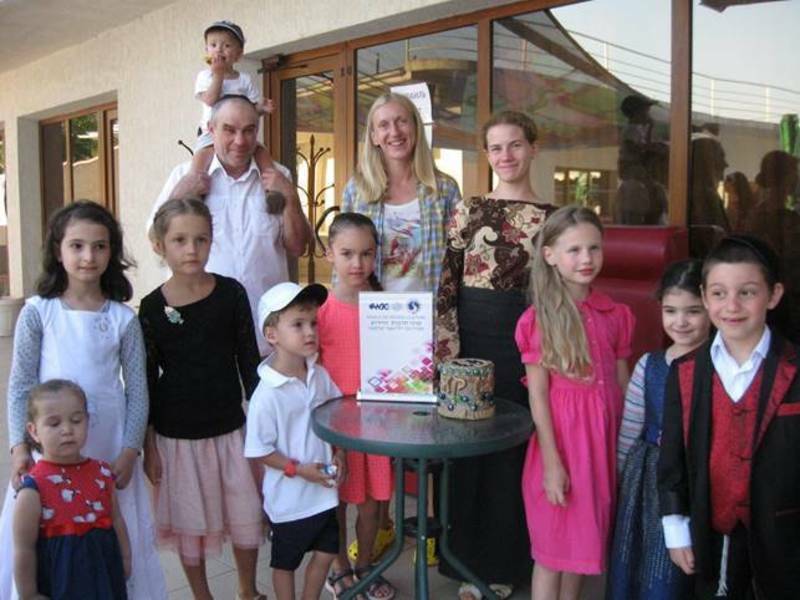 On July 7, 2018 in Zatoka (Odessa region, Ukraine) the WJC YC representative Tetyana Batanova (teacher of Yiddish at Master and Interdisciplinary Certified Programmes in Jewish studies at the National University of "Kyiv-Mohyla Academy" and junior scientific officer at Judaica department of V. Vernadsky National Library of Ukraine) provided two lectures during the "Yiddish Day" at the Jewish summer family camp "Khalom" (Dream). The event was organized by International Yiddish Center of the World Jewish Congress in cooperation with Odessa-based Jewish community center "Migdal", in order to provide Jewish kids, teenagers, parents, instructors, educators, community leaders and Jewish with Jewish historical and Yiddish cultural knowledge. Tetyana's lectures dealt with the topics: "Yiddish – Jargon or Mame-loshn (Mother's Tongue): Notes to the History" and "Yiddish as Mame-loshn: Yiddish Family Vocabulary". The lectures were attended by over 60 participants, amidst them 20 kids and teenagers. The lectures included not only notes to linguistic and cultural history of Yiddish and Jews in Central-Eastern Europe, but also the family Yiddish terms, words, proverbs, blessings, as well as collective learning and singing of such Yiddish songs as "Az der rebe zingt" ("While the rabbi is singing"), "Ale brider" ("We all are brothers") and "Shnirele-Perele" ("Pearl beads"). The lectures were conducted in a friendly manner, with questions and answers, linguistic examples and jokes in Yiddish. The audience has been motivated to learn more and more about Yiddish language, culture, history and Yiddish as a Jewish family language.